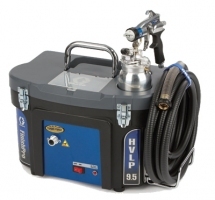 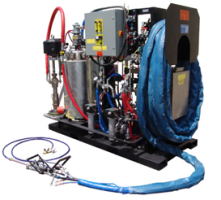 Stucco & EIFS Pumps and Mixers | Spray Quip, Inc.
Boost productivity with a portable stucco sprayer. 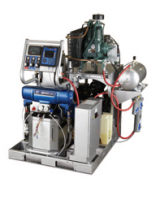 Graco's ToughTek stucco pumps allow your crew to get twice as much work done, in the same amount of time. 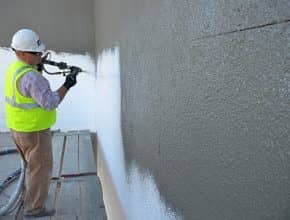 Spraying EIFS and stucco ensures you are providing a more consistent finish to your projects by guaranteeing that you are ble to fill in the metal lath without any air pockets or gaps. 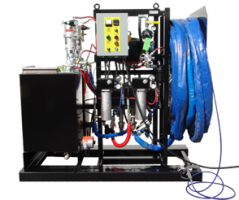 When you work with the ToughTek stucco pumps you are left with results showcasing the highest quality of stucco application from a machine that is simple to use, and easy to clean & maintain.